The democratization of the Czech Republic has long been predictive of the political and ideological leanings of Eastern Europe. For a brief period during the heart of the Cold War and the decades following, the nation became widely perceived as bastion of the West, and the ideology it espoused rapidly spread to neighboring regions as they overthrew Soviet occupation in 1989 and transitioned to liberal democracy in Czechoslovakia’s wake. Now, not even three decades after the seminal Velvet Revolution, the Czech Republic exhibits signs of yet another dramatic ideological shift: this time, to populism. In January 2018, the Czech Republic re-elected its brash nationalist president Miloš Zeman, whose staunch support of Russia and unwavering cooperation with Russian president Vladimir Putin render him in many ways the antithesis of his nation’s historical Western liberalism. The Czech Republic’s leadership has shifted from staunch opposition to Russia to nearly unequivocal support thereof in under thirty years, and if current trends continue, a strong alliance between Zeman and Putin may forewarn broader shifts in Eastern European attitudes toward Russia in the not-so-distant future. To understand this influence, it is necessary to understand the history of the country’s rebirth. Soviet control was officially overthrown in Czechoslovakia during The Velvet Revolution of 1989, but its roots are found in the Czech people’s tumultuous history of decades of occupation. Initially an autonomous, constitutional democracy founded in 1918 after the collapse of the Habsburg Empire, Czechoslovakia was invaded in 1938 by Nazi Germany and occupied throughout the Second World War, suffering “repression… exploitation, and extermination.”[i] Shortly thereafter, a communist dictatorship was installed, and the citizens of Czechoslovakia were forced to suffer under an oppressive and rigid regime that relied heavily on terror and all but eliminated civil rights. [ii] In January of 1968, Slovak politician Alexander Dubček was appointed the head of the Communist Party of Czechoslovakia and introduced reforms aimed at dramatic liberalization, with the intent to “build an advanced socialist society on sound economic foundations… that corresponds to the historical democratic traditions of Czechoslovakia.”[iii] Commonly known as “socialism with a human face,” the policies encompassed open relations with Western powers and Eastern Europe, a ten-year transition to democratized socialism with multiparty elections, and the official abolition of state censorship and widespread institution of civil liberties. This period came to be known as the Prague Spring. As a result of these reforms, the people of Czechoslovakia experienced eight months of freedom characterized by the onus of political responsibility shifting from censored intellectuals to the common people. [iv] However, the Soviet Union, fearing the precedent set by the emboldened populace, invaded Czechoslovakia with tanks to occupy the territory and brutally and efficiently suppress the movement. Prominent supporters of democratization were targeted and imprisoned and “at least three-quarters of a million citizens lost their jobs… or were seriously discriminated against.”[v] The people’s jolt toward the West was halted and forced underground for decades. Although the Prague Spring was short-lived, it left a considerable legacy within and beyond its borders, and its ideals arguably catalyzed both the Velvet Revolution and a string of interconnected Eastern European nationalist revolutions in the same year. The liberalization of Czechoslovakia during the Prague Spring threatened the unity of the Eastern European nations under strict Soviet hegemony. [vi] Indeed, Poland, East Germany, and Hungary signed a declaration in 1968 in support of the reforms in Czechoslovakia – though the document was not sufficiently radical to engender Soviet retaliation beyond Czech borders. Nevertheless, this show of support, however small, is more broadly indicative of the most significant consequence of the Prague Spring: widespread disillusionment with communist ideals. The unprecedented openness of the Prague Spring revealed the nature of the Soviet regime to Western powers and Eastern Europe alike, which allowed these ideals to transcend national borders. The Prague Spring irreversibly produced a dominant public consciousness independent from and opposed to the ruling regime, and as the first example of resistance to the Soviet stronghold, it constituted a massive historical and ideological turning point for the entire occupied region. The monumental significance of the events of 1968 became evident in 1989, when Czechoslovakia secured its own autonomy through the Velvet Revolution. Demonstrations amassed massive crowds calling for democratization, and authorities met their peaceful protests with brute force. However, the inertia of the movement could not be contained, and the Velvet Revolution yielded a conversion to a democratic republic with multiparty elections after forty years of communist rule. The Velvet Revolution fell concurrent with a chain of nationalist revolutions and political movements across Eastern Europe, all catalyzed and enabled by the Gorbachev-instituted policies of glasnost and perestroika. Solidarity, a Polish trade union that had steadily grown in strength throughout the 1980s, led waves of nationwide workers’ strikes in 1988 and eventually secured its independence after the Soviet Union did not intervene. The weakened Soviet regime likewise allowed a nationalist political movement in Hungary, whose citizens began to dismantle their border with Austria – and the Iron Curtain more broadly – in the same year. [vii] Next to follow was East Germany in October, and the fall of the Berlin Wall that separated Soviet East Germany from its democratic West counterpart in early November. This was followed by revolts in Bulgaria and the only armed Eastern European rebellion against Soviet forces in Romania in late December. Yugoslavia and Albania closed the gap in 1991, acting as the final piece in the conscious and systematic removal of Soviet influence from all of Eastern Europe. The collapse of the Soviet stronghold in Eastern Europe was neither predestined nor wholly predictable, but it is ultimately evident that the 1989 surge to freedom in Eastern Europe began not with the Velvet Revolution, but with the Prague Spring. The strength of the influence of Prague on Eastern Europe is undeniable, even across rapid and unprecedented shifts in ideology. Consider, to this end, two vastly different scenarios, separated by three short decades in between. In November of 1989, the crowds roared as their future president Vaclav Havel proclaimed the “power of the powerless” and the downfall of the Soviet regime. In contrast, at a 2014 ceremony commemorating the 25th anniversary of the historic moment, the crowds instead responded to their new president, Miloš Zeman, by pelting him with eggs, tomatoes, and other projectiles. [viii] Thousands of demonstrators carried red cards as a warning and brandished banners with the protest’s slogan, “we do not want to be a colony of Russia.”[ix] While visiting the city of Opava, near the Polish border, Zeman was called a “Russian cockroach,” and students of its Silesian University called on the president to resign. [x] The legacy of a populace emboldened by the power of the powerless certainly has not vanished in the Czech Republic. Yet, nevertheless, he was re-elected to a second term. The majority stands by his side. Those who consider Zeman to have betrayed the ideals of the Prague Spring are entirely warranted in their claims – at the 2014 commemoration of the Velvet Revolution, for example, Zeman spoke with brazen disregard for the principles it espoused. Similarly, in early January, Zeman declared at Prague Castle that the leaders of the Prague Spring “chickened out in horror” before the Soviet Union, that the non-communist ministers who resigned from the communist regime were “stupid,” and that the entire movement of democratization and reform ought to be credited to Soviet leader Mikhail Gorbachev, rather than to the common people. [xi] Despite the passionate opposition of thousands of protestors, just one week later, Zeman won a second five-year term as president of the Czech Republic with 51.4% of the vote. International media outlets followed the Czech election closely, considering it an unofficial referendum on European nationalism. The president’s challenger was Jiří Drahoš, an utter newcomer to the political scene who formerly led the national Academy of Sciences for nearly a decade, ran on a platform of pro-European liberalism, and was subjected to a massive smear campaign accusing him of collusion with bodies including – but not limited to – Angela Merkel, secret police, and the Hungarian government. While Drahoš does not consider Zeman personally culpable for the campaign, there is a significant probability that these accusations of collusions were a product of actual collusion, between Zeman and Russia. “I have no doubt that [the Russian government] did it here, but to put some evidence on the table, it’s difficult,” claimed Drahoš in an interview in May 2018. [xii] Indeed, there is insufficient evidence that the Russian government interfered in Czech elections, but Zeman’s vocal support of Russia is nevertheless undeniable. Zeman most starkly contrasts his Czech presidential predecessors in his attitudes and policies toward major economic and political powers to which Western nations have historically been opposed. In particular, Zeman is extraordinarily sympathetic to China and Russia, and he routinely endorses the actions and statements of Vladimir Putin. While the Czech government has almost exclusively allied with NATO nations and the European Union in the past, Zeman stands with Russia with such consistency that he is known as “the most influential Kremlin ally in Central Europe”[xiii] and even called for a referendum to sever ties with NATO. He adamantly supports Russian intervention in Syria, denies that Putin has any culpability in Crimea, and opposes any sanctions on Russia whatsoever. Zeman is also reportedly the second-most quoted European leader in Russia, after German Chancellor Angela Merkel. [xiv] Naturally, the favorable portrayal Zeman provides Putin is reciprocated: Russian media presents Zeman as a fierce, independent anti-American leader with deep ties to the illustrious Putin, and these ties may not be exaggerated. [xv] Zeman defeated his centrist challenger in his re-election race by an admittedly narrow margin, and his campaign was greatly assisted by massive donations from an anonymous source. Whether or not that source is demonstrably Russia, the fact of the matter remains unchanged: the Czech Republic under its current leader has deep ties to Putin’s Russia, which manifest in his government from its structure and actions to the ideology it preaches. To those who oppose Zeman, this is an unforgivable betrayal of the Velvet Revolution and a reckless endorsement of a dangerous wave of populism and nationalism that threatens all of Europe. Similar “Euroskeptic” ideologies have emerged in neighboring nations in recent years, in particular Hungary, Poland, and Slovakia, capitalizing on the populism that has proven effective across national borders – an appeal to the common people who feel marginalized or consider themselves victims of social stratification. [xvi] Zeman’s particular brash brand of politics coupled with his penchant for drinking, smoking, and name-calling makes him an accessible candidate, and those who find his blunt and down-to-earth nature refreshing flock to him in droves. “I have come to the conclusion that many politicians and journalists have inferior intelligence compared to normal people… and therefore I want those normal citizens to have a chance to decide,”[xvii] said Zeman shortly after his election, in an unexpected callback to the Velvet-Revolution-era notion that media cannot be trusted unless it is authored by the common people – that is, by those who consume it. The assertion that the Czech Republic has negligible influence within Europe pales before the historical precedent set during and after the Cold War. When the Czech Republic acted, Eastern Europe followed in tow, allowing the prevailing ideology of the Prague Spring to percolate into the public conscious in order to swiftly curtail Russian dominance in the region, in a show of stunning unity and unprecedented might. The notion of the “power of the powerless” has evolved or been twisted into a new brand of populism and nationalism – and though the sentiments Zeman espouses are far from universal within the populace, their prominence is a strong indication that the Czech Republic, and therefore the region as a whole, currently finds itself on the edge of a crucial precipice. Will the Czech Republic reaffirm its ties to Western transatlantic institutions, alliances, and liberal ideology, or will the nation grow closer to the nation it has previously fought so hard to overthrow? To the extent to which history gives any indication, developments in the Czech Republic will reflect and influence those across Eastern Europe for years to come, no matter how Zeman answers the question. [i] Tony Judt. Postwar: A History of Europe Since 1945. New York: Penguin Press, 2005. Print. [ii] Jiři Pehe. “A Spring Awakening for Human Rights.” New York Times. 14 August 2008. [iii] Jaromír Navrátil. The Prague Spring ’68. New York: Central European University Press, 1998. [iv] Brown, J. F. Surge to Freedom: The End of Communist Rule in Eastern Europe. Durham: Duke University Press, 1991. [v] Michael Long. Making History: Czech Voices of Dissent and the Revolution of 1989. Lanham, MD: Rowan & Littlefield, 2005. [vi] Vladimir Batyuk. “The End of the Cold War: A Russian View.” History Today, 1999. [vii] J.F. Brown. Surge to Freedom: The End of Communist Rule in Eastern Europe. Durham: Duke University Press, 1991. 307. [viii] “Czech president pelted with eggs on revolution anniversary,” BBC, 17 November 2014, http://www.bbc.com/news/world-europe-30086495. [xii] David Matthews, “Jiří Drahoš: the Czech chemist overwhelmed by fake news,” Times Higher Education, 8 May 2018, https://www.timeshighereducation.com/news/jiri-drahos-czech-chemist-overwhelmed-fake-news. [xiii] Veronika Víchová, “Will the Kremlin’s Most Important Ally in Europe Be Reelected?” Atlantic Council, 25 January 2017, http://www.atlanticcouncil.org/blogs/ukrainealert/will-the-kremlin-s-most-important-ally-in-europe-be-reelected. [xiv] Jakub Janda. “How Czech President Miloš Zeman Became Putin’s Man, Observer, 26 January 2018. http://observer.com/2018/01/how-czech-president-milos-zeman-became-vladimir-putins-man/. [xv] Jakub Janda. “How Czech President Miloš Zeman Became Putin’s Man, Observer, 26 January 2018. http://observer.com/2018/01/how-czech-president-milos-zeman-became-vladimir-putins-man/. 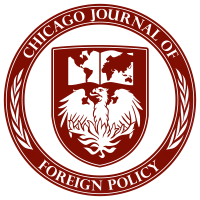 Previous: Previous post: CJFP’s Spring 2018 Print Edition!